I did expect a slightly tacky and faded seaside resort. There were a few cheesy shops and an amusement arcade – but hey you are by the beach after all. We also found a gorgeous, golden, sandy bay and a relaxed, calm and super chilled out atmosphere. The perfect spot to break up a journey and relax. The turn of the millennium saw Cardiff and its derelict docks transformed. Now, as we found the previous evening, it is a fabulous waterside destination in itself. Barry was not so lucky and apparently lagged well behind it’s bigger neighbour, people are slowly starting to rediscover its incredible natural beauty. Our biggest problem was actually finding a parking spot. After several frustrated attempts driving around we finally found a car park and were able to explore on foot. We strolled along the promenade with the sea glinting beside us and spotted a few Gavin and Stacey references. In dire need of coffee we again struggled a bit – there is only one decent place to get it. Fish and chips were in plentiful supply but at 10 in the morning this was not quite what we had in mind. The main beach is long, fabulous, sandy and has two limestone outcrops either side that soak up the sun. 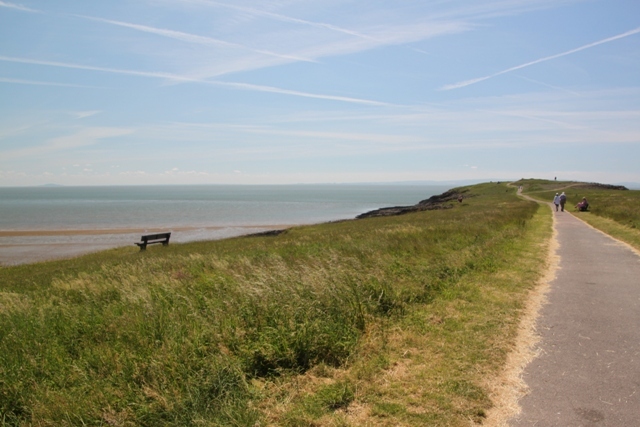 We found a path along one of the outcrops, walked along and enjoyed views to the twin islands of Flat Holm and Steep Holm. Away from the town itself we got to see Barry at its natural best. Gorgeous views across the Bristol Channel and hardly another person in sight. Barry was beautiful. Thank you Gavin and Stacey for bringing it to our attention – I’m so glad we stopped by. I agree; as a Gavin and Stacey fan you could not have passed Barry Island on. I have never been myself but it looks beautiful. I am from Ireland so are used to cute little towns like this where there is nothing to really do only relax. Places like this I really miss in Berlin. It was so gorgeous – I was actually really surprised, not expecting it to be that beautiful – glad Gavin and Stacey gave us the nudge to go there!! Tidy!! 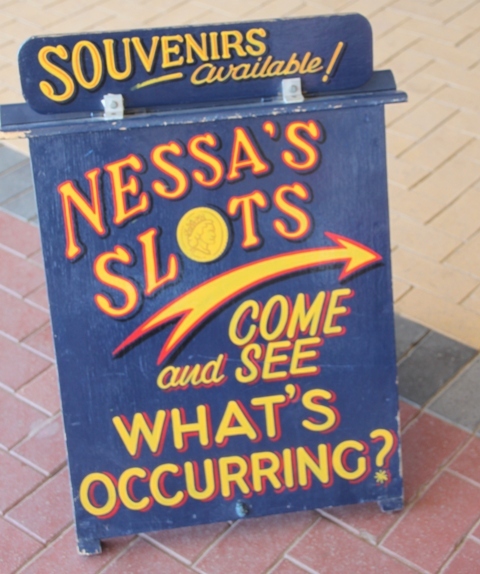 We are big Nessa fans in our house needless to say…. 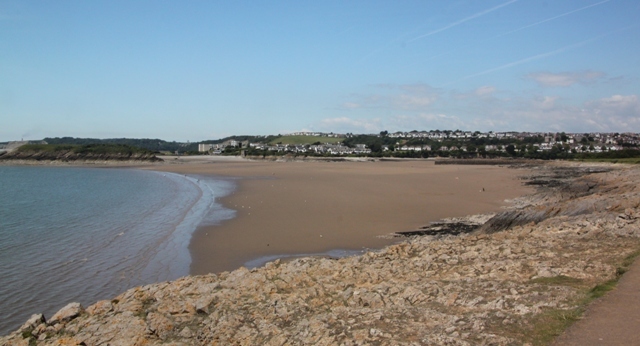 Barry was fabulous, I loved it there, so beautiful and the Gavin and Stacey stuff was the icing on the cake! It is full of lovely places like this – we are big fans of Wales and would love to explore some more! Nothing beats the ocean areas!!! Completely agree – I just love the sea! Oh man! If only I knew about this place when I was up in Swansea!! Look at that beach!! It was just stunning – and so deserted as well, it felt like we (almost) had the whole place to ourselves. We were close to this area in July, but headed south on the train into the snowdonia area. After seeing these photos, I wish we could have spent some time on the coast! It is a beautiful area, we were blessed with an abundance of sunshine (always helps by the coast) which made it even more spectacular. Snowdonia though is beautiful too – just different!! We’ve never had sunshine there – always rain!! Oh I do miss Gavin and Stacey, they should make another series. 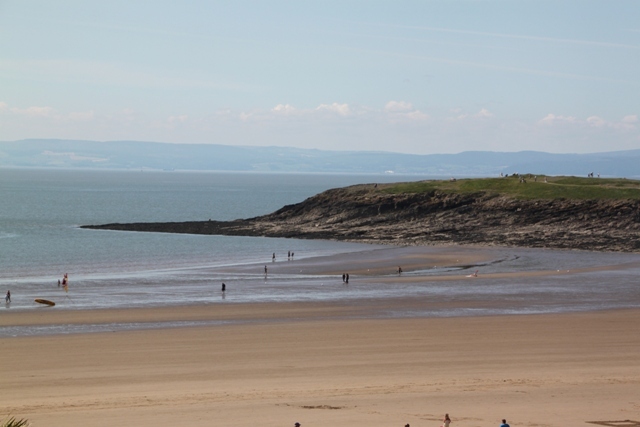 Barry Island looks great, not somewhere I had ever considered visiting before! 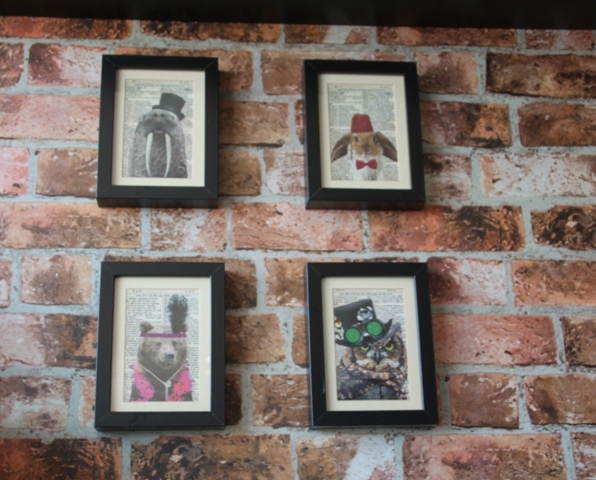 It was unplanned for us too – lucky coincidence we just happened to spot it on the map!! It’s beautiful though, glad we went. Agree about Gavin and Stacey too – they should bring it back! Blue skies and water views with a beach thrown in. It doesn’t get much better than that. I haven’t heard of Gavin and Stacy but I agree, Barry’s cracking! It was just gorgeous – off the beaten track for most people and we had it almost to ourselves! 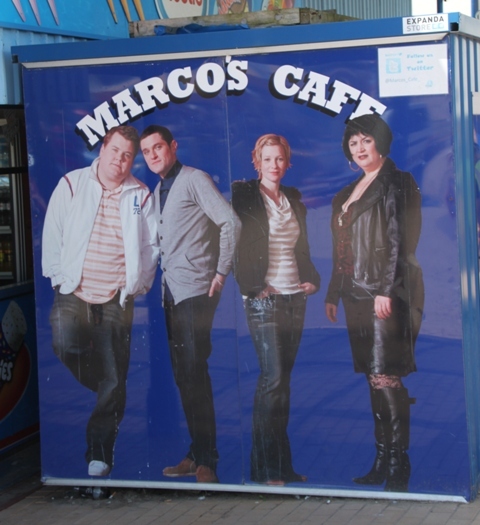 It looks to have much more charm than ‘Gavin and Stacey’ would have us believe. But you mentioned fish and chips so now I am just obsessing over that tastebud memory. Drool. We were definitely not expecting such an unspoiled and beautiful little place – definitely not the impression I got from Gavin and Stacey!! Fish and chips by the seaside – nothing quite like it – I am drooling too!! Thank you – it is a stunning little place, really peaceful and a gorgeous beach! It’s very funny – in a UK sort of way!! Quirky and different. The beaches here were incredible – and deserted. We’d explored this area in the past but further along the coast and found more of the same. If you get good weather (no way guaranteed) it is just perfect! When I’ve been to Cornwall and Ireland and come home with photos of beautiful beaches, my American friends are always so surprised–this looks like another example! After all, the UK is just a big island–of course there are beautiful seaside spots! We are very lucky in the UK – all kinds of beaches from golden and sandy like this one to rocky and craggy and most places are within easy reach of a beach. But I know what you mean, lots of people seem surprised we have good beaches here! 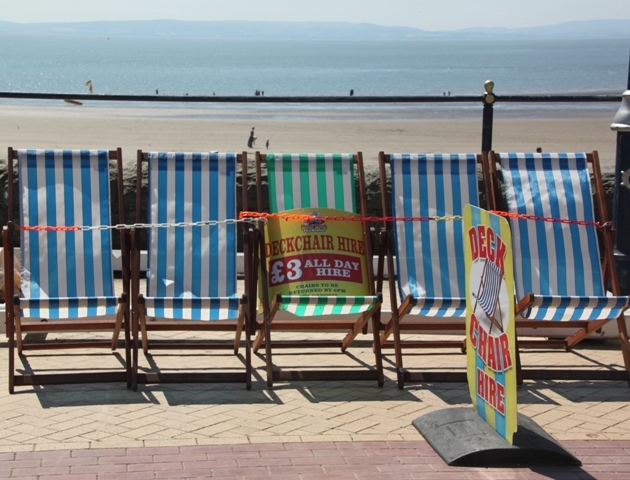 What we don’t have though is reliable weather I suppose – the day we went to Barry Island was glorious, that definitely helps to make the most of a beach like this one! thanks so much for liking my post! I look forward to seeing more of your wonderful photos and hearing about your travel adventures. Thanks for dropping by here too Elizabeth!! 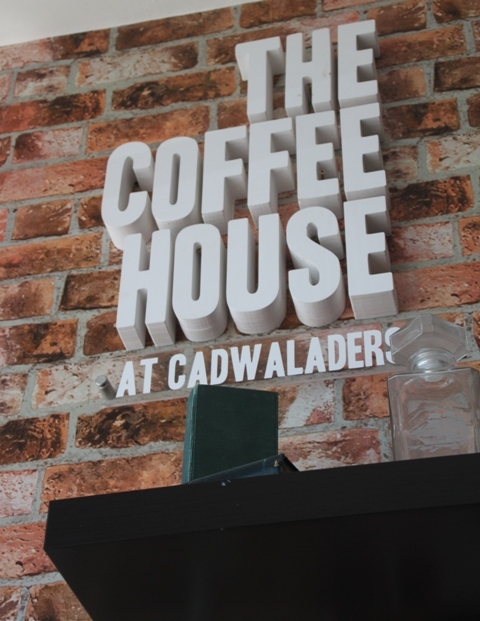 Thank you Natalie – it’s a great place to spend a chilled out morning! It’s really funny Rosemary and I’d actually forgotten about the actress being in Love Actually. I’d never heard of Barry Island before the TV show and didn’t really know where it was until we spotted it on the map leaving Cardiff!! It’s gorgeous – glad we made the detour! I had to look up Gavin & Stacey and I see it’s on Netflix… uh oh… anyway, when I am in England I stuff myself silly with fish ‘n chips and 10:00am seems reasonable to me! Well, fish and chips is pretty delicious – why not at 10am!! 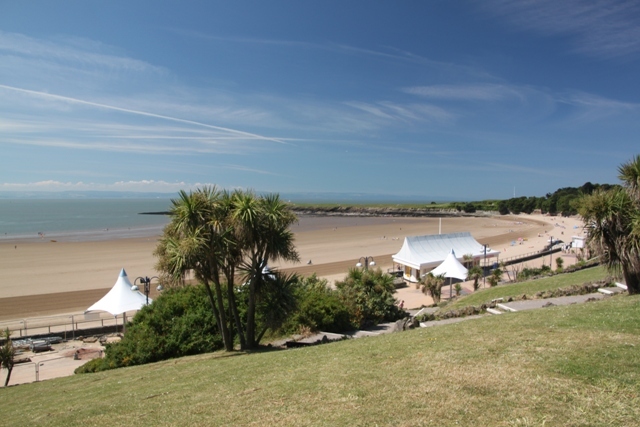 Barry Island looks like a great place to visit. It is beautiful – we had a great day there!